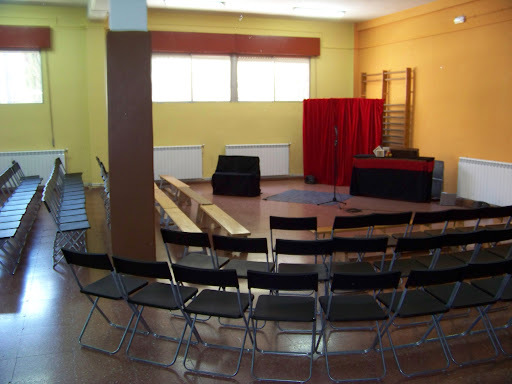 Here is a room with accoustic challenges... a square room and a pillar in the center. I took the corner, to minimise direct echo, putting students on two sides. 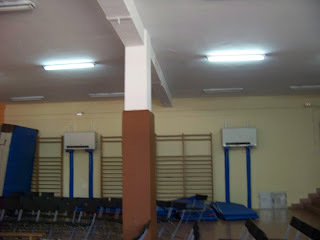 I put the sound as close as possible as the students, and low to the ground. This kept the echo down as they absorbed the sound.